BLAZE: What to watch on your newest free-to-air channel! Brand new channel BLAZE has launched in the UK on Freeview. Located on Freeview channel 83, BLAZE will premiere shows that have never been seen before on free-to-air television, including hits such as Pawn Stars, Mountain Men and American Restoration. The channel is available 24 hours a day and also offers live streams online and the ability to catch up on mobile or tablet. That’s right, our long boring commutes just got way more exciting. 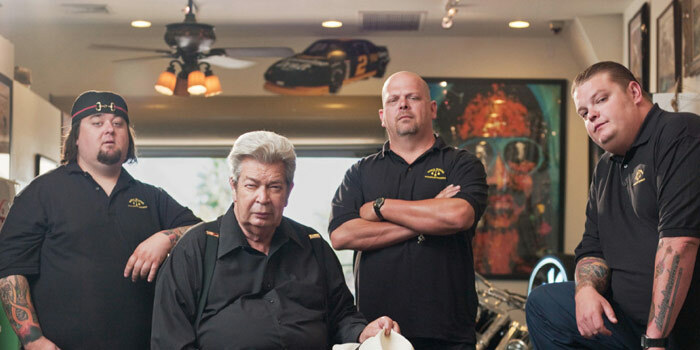 Pawn Stars is the hit American reality television series about the daily activities at World Famous Gold & Silver Pawn Shop, a 24-hour pawning business in Las Vegas, Nevada. It follows the lives of the shop’s operators – the Harrison family – and their staff, as they bargain over prices, learn the unique history behind new items and (of course) feud amongst each other. If you can’t get enough Pawn Stars, American Restoration is the spin-off featuring Rick Dale – an antiques expert from the show. He runs Las Vegas’ Rick’s Restorations, a family business that identifies and restores beautiful and historically significant objects. Rick’s on hand throughout the series to delve into the unique stories behind the items during the restoration process. 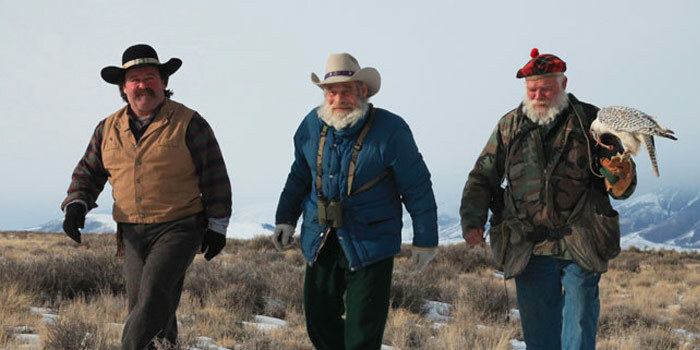 Mountain Men follows the unbelievable real escapades of men who live in astounding daily conditions in the wild. Firstly there’s Eustace Conway, who lives in the Blue Ridge Mountains of North Carolina. He teaches visitors survival skills and earns his keep using ancient techniques to harvest firewood. In Alaska, there’s Marty Meierotto, who traps animals in the snow to collect furs. In Montana, there’s lion hunter Rich Lewis… need I say more? Does Storage Wars need any introduction? 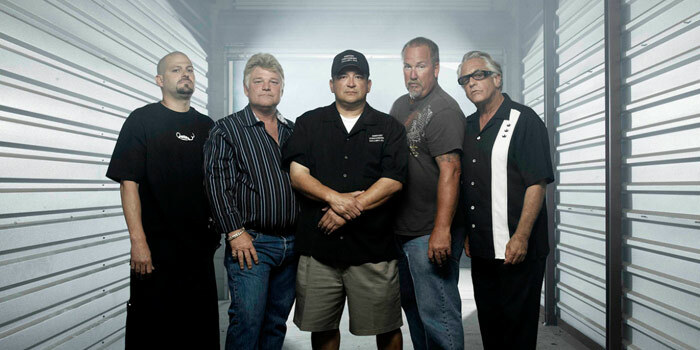 Storage Wars follows the lives of a group of professional buyers who bid on the content of disused storage containers. They hope to sell the items inside for a profit, but there’s one little catch: they cannot properly examine the containers’ content before bidding. Prepare for explosive auction wars, bidder feuds and brilliant drama all round. Danger is the name of the game in Ax Men, which explores the lives of logging families around the United States. These fearless individuals risk their lives day and night in the most isolated of environments, all to retrieve the timber that pays for their keep. 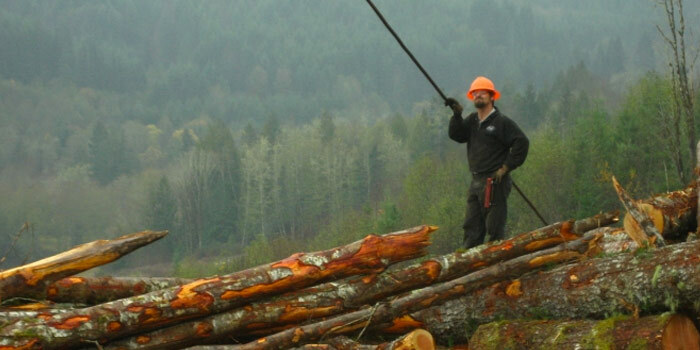 Loggers handle dangerous equipment on a daily basis and frequently put themselves in situations that would drive health and safety officers mad, but it makes for great television. Catch BLAZE on Freeview channel 83.